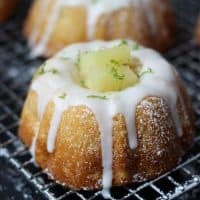 Inspired by my new favorite cocktail, these mini pineapple lime mojito cakes are sweet, soft and the perfect blend of tropical flavors. They will have you spinning! But talking about new favorites. Have you noticed things look differently around here? I got a face lift! Every now and then one needs to change their outfit and I think it was time I pruned my style around here. ( In case you were confused, I am talking about the new site design!). I hope you like the clean, (hopefully) easy to navigate layout. I am still tweaking some back-end things so please let me know if there is anything you notice that is not working well or looks off. Let’s get back to these mini cakes!! I love baking bundt cakes because they are just so beautiful. Always a wow factor with no decoration needed. I’ve started collecting bundt pans because the possibilities of designs are endless!! When I found out about this group called Bundt Bakers, through Laura over at Baking in Pyjamas, it was a no-brainer to join those kindred spirits. Bundt Bakers, as you may have guessed, is a group of bundt loving bakers who get together once a month to bake bundts with a common ingredient or theme. This month the theme was “Tropical Fruits” which was perfect since I have been mildly obsessed with that pineapple cocktail. One of the best things about bundt cakes (besides their beauty) is that they make very moist and soft crumble-in-your-mouth cakes. These mini pineapple lime mojito cakes are no exceptions. They are incredibly moist, crumbly and just AMAZING. 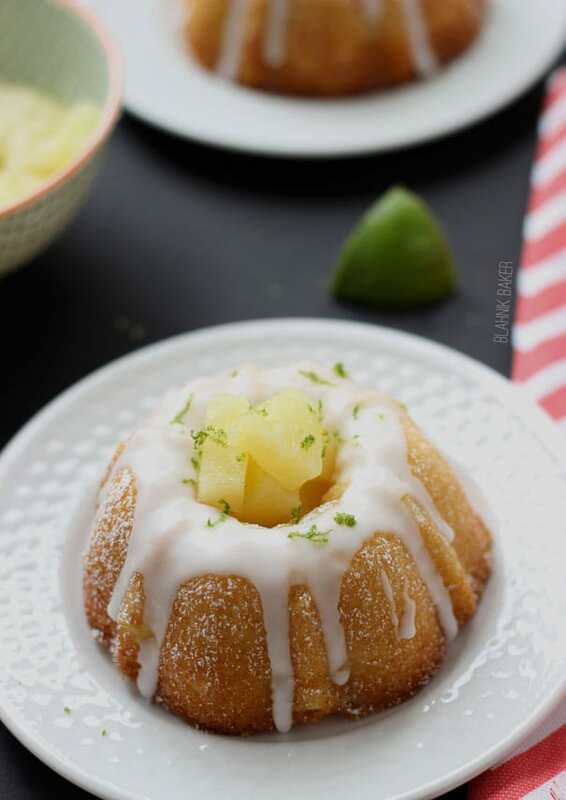 The sweet pineapple chunks in the cake balances very well with the lime rum glaze. The mini sizes of these cakes make them perfect for summer entertaining! Preheat oven to 350 degrees F. Grease 6 mini Bundt pans with baking spray. In a medium bowl, whisk together 1½ cups of flours, baking powder and salt. In a small bowl, whisk the buttermilk with the rum if using. In the bowl of an electric mixer, beat together the sugar, oil and butter on medium-high speed until fluffy, about 5 minutes. Add in the lime zest and beat for additional minute. Scrape down the sides of the bowl as needed. Add in the eggs, one at a time and beating until combined. Beat in vanilla extract. Add in a third of the flour mixture and half of the buttermilk. Mix until just combined. Then add another third of flour and the rest of the buttermilk. Mix again until just combined. Scrape down the side of the bowl as needed. Add the rest of the flour and mix for 30 seconds. 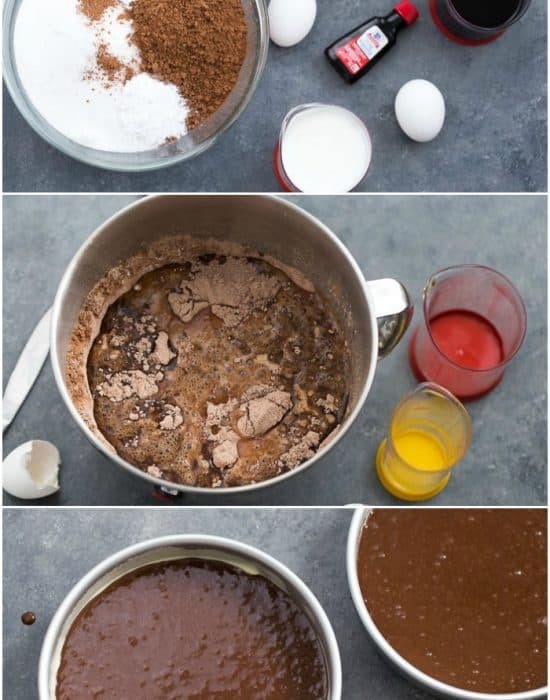 Finish incorporating the flour into the batter by hand with a rubber spatula to avoid over mixing. In a small bowl, toss the pineapples with the remaining two tablespoons of flour. 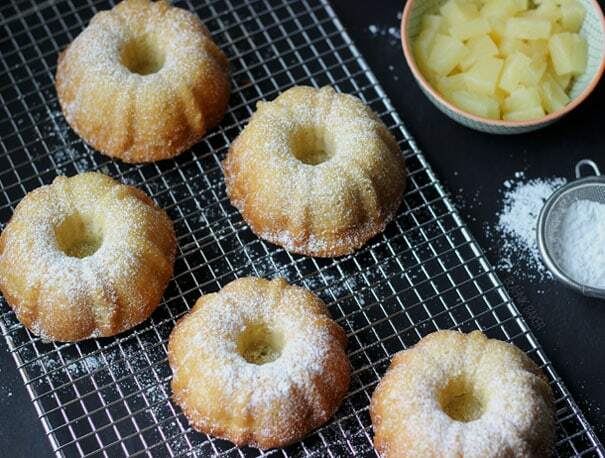 Spoon batter into individual mini bundt pans, filling halfway before sprinkling the pineapples on top of the batter. Then top until two-third full. Smooth the top. Repeat for each. Bake until cakes are golden brown and a toothpick inserted into the center comes out clean, about 20-25 minutes. Transfer to a cooling rack and allow cake to cool in pan for 30 minutes. Using a small sharp knife, run it around the edge of the pan to loosen the cake and then invert the cake onto a cooling rack (lined with parchment paper) to cool completely. Whisk together all the ingredients in a small bowl. If the glaze is too thick, whisk in rum or lime juice, a teaspoon at a time. Just before serving, pour the glaze over the cake and allowing it to drip down the sides. Let glaze set for 20 minutes. Enjoy! This month there are 14 amazing Bundts cakes from members that fit the bill for any tropical fruit loving person! Be sure to hop on over and check them out. Totally drool worthy! Interested in learning more about us?? #BundtBakers is a group of Bundt loving bakers who get together once a month to bake Bundts with a common ingredient or theme. Follow our Pinterest board right here. Links are also updated each month on the BundtBakers home page. We take turns hosting each month and choosing the theme/ingredient. If you are a food blogger and would like to join us, just send Stacy an email with your blog URL to foodlustpeoplelove@gmail.com. These are SO cute, and sound delicious!! What gorgeous little bundts! And I’m loving the flavor combo too. Welcome to Bundt Bakers and it’s nice to see you baking with us. These look amazing! The lime zest looks so vibrant in your photos, and the boozy glaze sounds right up my alley. Hhahah thanks Tux! I wish they will ship in one piece but I doubt it lol! 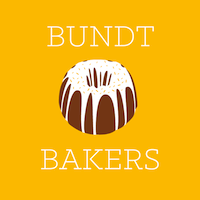 BundtBakers sounds right up my alley! Love these mini bundts and the flavors are incredible! Pinneapple and lime is a refreshing combination. I know it does! I have a weakness for clubs and groups. Wow, these look and sound amazing! What an interesting combination of flavors! A dozen is the perfect number!!! Thanks dear!! These are so adorable! They look so fantastic! Those are stunning!!! Love the flavor combo!! Your pictures are gorgeous too!! Mojitos have become a favorite drink of mine too! 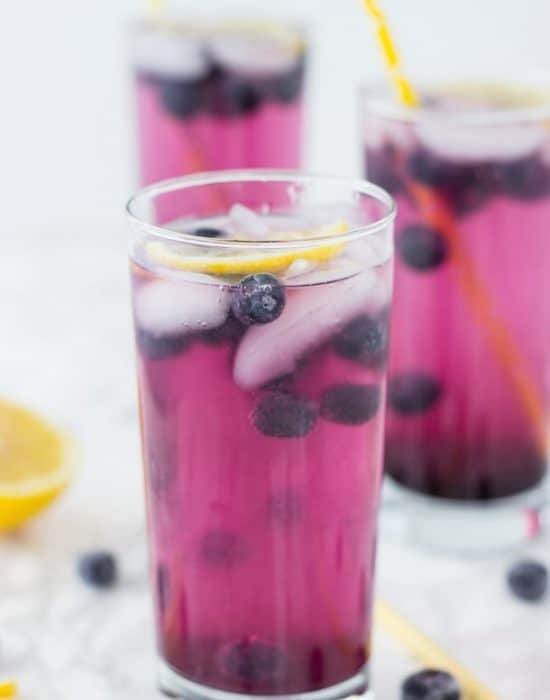 If you get the chance, try a Dragonberry Mojito… so good!! These mini bundt cakes are so cute!! Looks delicious! Ummm can I tell you that I LOVE LOVE LOVE pineapple mojitos!! I haven’t had the lime with it but I’ve made them with coconut rum. Yum! Also, I love me some bundt cakes so these are perfect!! Also, also, I’m totally digging the facelift! 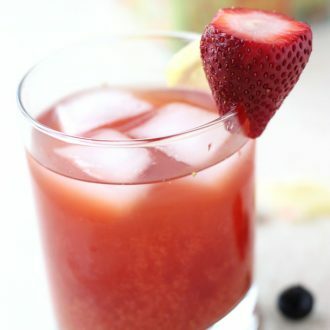 I need to make some with coconut rum soon!! Sounds amazing!! Always love pineapple and coconuts!! 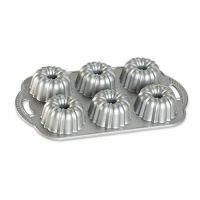 I was just looking at mini bundt cake pans earlier today. You just inspired me to go ahead and order one. These look pretty! Mojitos have always been my favorite, but pineapple mojitos? Now that sounds killer! 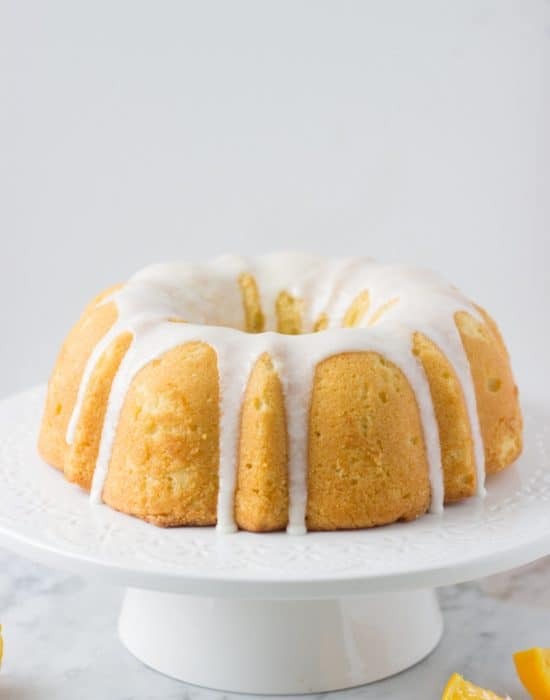 Love how you transformed your favorite drink into this gorgeous bundt cake! You are like the bundt cake queen zainab! Gorgeous pics! Krista it is seriously delicious!! And so easy to make at home too. Pineapple juice, lime rum/vodka, lime juice and some mint if you like. Bammm!!! Deliciousness! Ok..I will settle down 🙂 PS: Thanks!! Thanks Laura for the introduction to the group!! How can you go wrong with these flavors, Sounds delicious. Mini cakes? Pineapple and lime? Sign me up! Drink inspired cakes needs to happen more often! These are the cutest bundts ever! I love your take on the theme this month – Welcome to the group! These would be perfect for a summer pool party. Thanks Lauren!! This is a fun group. Can’t wait for next month already. How refreshing and adorable! Mini anything are the best. I’m loving the summer flavors happening in these little cakes! These are adorable! I love pineapple mojitos (well any flavor mojito for that matter) and they look just perfect! Such a great idea to get inspiration for cakes from a cocktail. They would certainly make for a great ‘cheer-me-up’ Monday morning breakfast! P.S. Of course, I love the site design, especially your header with the gorgeous shoe in the middle. And don’t worry, haven’t noticed any problems! Those look so amazing!! I wish I had one right now! And it’s breakfast time…. I would love for you to link it up with us at Foodie Fridays! HOw adorable are your little cakes. What a great flavor combination. LOVE the redesign!! That new logo is perfect to depict your classy self!! Fruity mojitos are my favorite part of summer. Though, dare I say I’d love them even more in cake form?! So cute! hey Z! I saw these yesterday and didn’t have time to comment! These are amazing!!! I love mojitos so I can only imagine how refreshing a pineapple lime mojito is! Love the flavor combo here and I think these mini bundts look fabulous! mini bundts have a special place in my heart! I didn’t get my act together this month to join but will hopefully be back with bundt bakers in the Fall!! 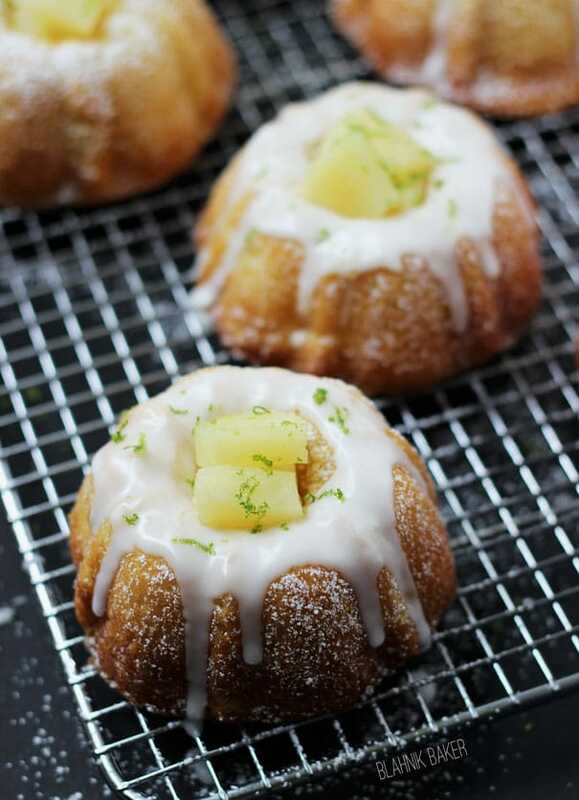 Now you have me craving your beautiful mini Bundts and pineapple mojitos, Zainab! Love that combination of flavors! Your cakes are gorgeous! I love cakes inspired by cocktails! Ooh, a pineapple mojito? Yes, please! I think I’d like these cakes even more, though. I bet the glaze adds so much flavor and moisture. Bundt cakes are just lovely, aren’t they? These look beautiful! Ahh how fun to be a bundt baker! I def want to join in on the fun. By the way, these mini bundts are adorable!! Love how you not only used powdered sugar but also a glaze AND lime zest. So classy! And your new face looks fabulous! Congrats! These are so fun, Zainab! A good Mojito is always a favorite so I love these. I bought my mini bundt pan in 2001 and, while it has gotten so much use over the years, it has been very neglected for the last few. This is the recipe that makes me want to pull it back out again! Pinned! These mini bundts look amazing! 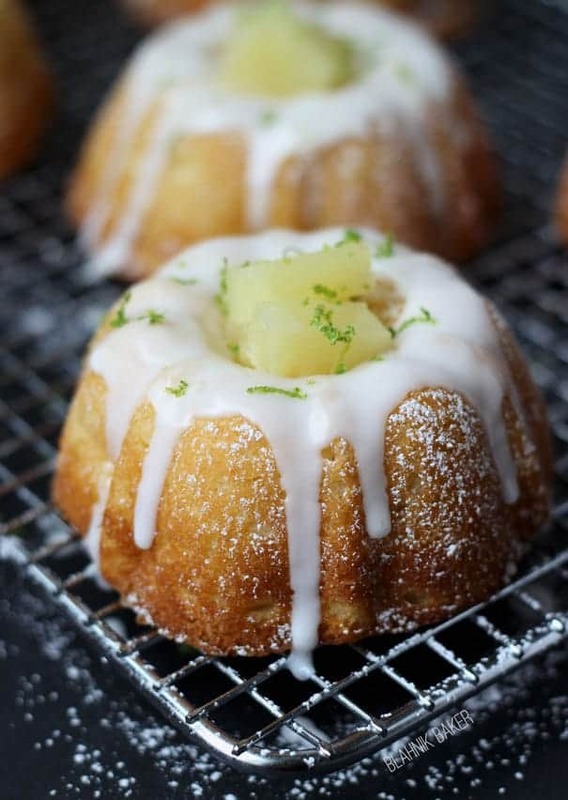 Love the addition of pineapple and that rum glaze sounds divine! Lovely recipe Zainab! These sound amazing!! So so cute and the flavours sound delicious, like drinking the sun. Minus the burn…ya know. Love the group idea 🙂 definitely pinning these! Found you on the Saturday Night Fever Link-up! Thanks for sharing this recipe, it sounds like the perfect sweet treat for a summer party. Wow, these look so yummy! Sounds like something I could get use to. A mojito is my favorite cocktail, and I know I would love a pineapple-lime one. The idea of it in a cake has me racing to see if I have the ingredients to bake it up right now- yum! These are so cute!!! I am going to Hawaii soon, so pineapples are on my mind. Maybe I should make these in preparation! 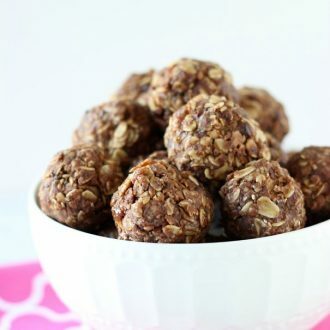 These are totally GORG and sound delish! Not to mention your photos look beautiful! 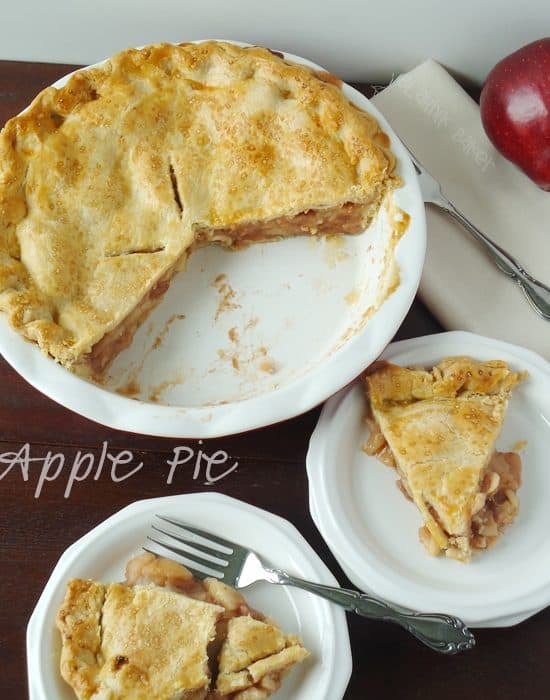 Thanks for linking in our Foodie Fridays linky party! This was a great addition to the links! Sounds amazing and I LOVE your new site!